Virat Kohli is a promising middle order batsman for the future and has proved that recently while representing India but his form in the IPL 2012 is alarming. 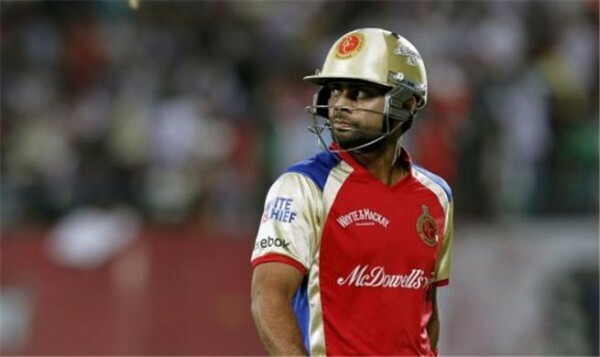 Kohli is representing Royal Challengers Bangalore in the fifth edition of the Indian Premier League and his team is at the 6th position until the 30th match which they played on April 23, 2012 against Rajasthan Royals at Jaipur. The Royal Challengers Bangalore has played 7 matches, won four and has lost three which is not a good performance anyway. They have secured just 8 points with a net run rate of -0.192 and require a lot of hard work to get a place in the top teams. Virat Kohli was born on November 5, 1988 in Delhi, a right hand batsman and an occasional right arm medium fast bowler. He has played for India, India Under-19s, Royal Challengers Bangalore and Delhi. He is an attacking batsman by nature and always tries to rule any type of bowling on all kinds of wickets all around the world. He is always there to assist the Indian team at the times of crisis and has cemented his place in the national side by his performance and has won them quite a few matches single handed. Kohli was the proud captain of the Under-19s Indian squad which took part in the 2008 ICC Under-19s World Cup and led them from the front. 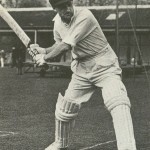 He smashed 235 runs at an average of 47.00 with the best of 100 runs and was the second highest scorer for India in the event. The Blue Shirts clinched the coveted Trophy while beating South Africa Under-19s by 12 runs on March 2, 2008, at Kinrara Academy Oval, Kuala Lumpur. The right hand batsman made his debut for India on August 18, 2008 in the One Day International against Sri Lanka at Rangiri Dambulla International Stadium. He has participated in 85 ODIs, thrashed 3590 runs at an excellent average of 50.56, the best of 183 runs with 11 centuries and 21 fifties. The 23-year-old was inducted in the national Test team against West Indies on June 20, 2011 at Sabina Park, Kingston, Jamaica. 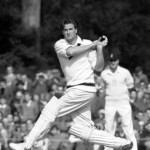 He has played 8 Tests and scored 491 runs averaging 32.73 with the best of 116 which comprised three fifties as well. Kohli has just played 9 Twenty20s for the Blue Shirts and scored 140 runs at an average of 23.33 with the best of 31. The youngster was the member of the Indian team which visited Australia lately and the visitors were humiliated 0-4 by the hosts in the Border-Gavaskar Trophy, 2011-12. Kohli was their top scorer as he plundered 300 runs at an average of 37.50, the best of 116 with one fifty. The young gun was the highest scorer in the Commonwealth Bank Series, 2011-12 for the Blue Shirts. The tri-series involved the Hosts Australia and Sri Lanka and Kohli hammered 373 runs at an exceptional average of 53.28, the best of unbeaten 133 with two fifties. Kohli was appointed vice Captain for the Indian team which took part in the Asia Cup 2012, held in Bangladesh. The Indian Team could not qualify for the final but he excelled with the bat. The brave batsman played a thundering knock of 183 in the fifth match of the tournament against their arch rivals Pakistan and won the match at his own at Shere Bangla National Stadium, Mirpur on March 18, 2012. He once again top scored for India by thrashing 357 runs at an awesome average of 119.00, the best of 183 with two fifties. The cricket lovers across the globe and especially in India expected a lot from the blade of Virat Kohli in the ongoing IPL 2012. He has appeared in seven games and managed just 129 runs at a poor average of 18.42 with the best of 57 which is much below his standards. The Royal Challengers Bangalore anticipates a cracking Virat Kohli who can take them to the heights of the Indian Premier League 2012 and that is very much possible once he gets going.